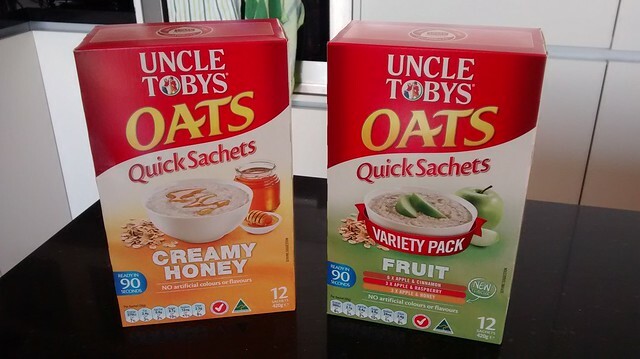 I was sent a couple of boxes of Uncle Toby’s Quick Oats Sachets via Nuffnang to have a try of and tell you about. I’ve been eating oats in winter forever. 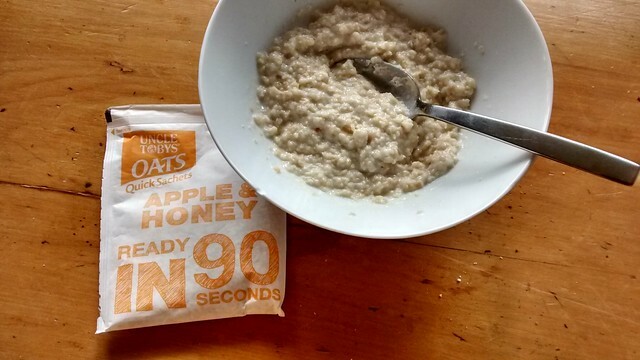 I’ll put it up front, that I prefer just getting plain oats or plain quickoats and doing them in the microwave with milk and (preferably brown) sugar. But since the world is all about convenience, I’ve had these sorts of things sitting in my draw at work for a post gym breakfast or a warm afternoon snack. So, what do I like about these and their flavours? I like the built in measuring cup on the sachet! 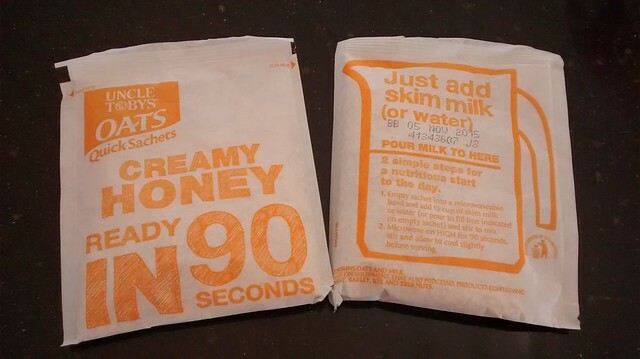 No more guesstimating or rummaging for a certain cup measure to add the milk with. 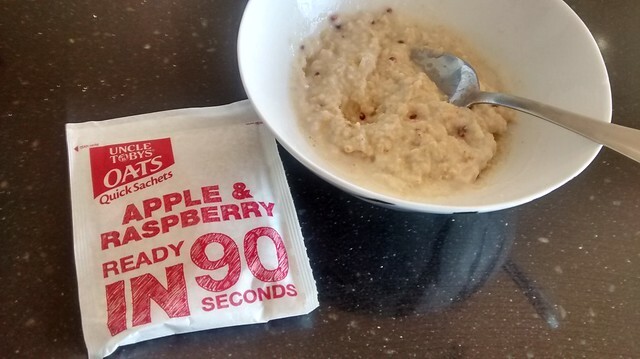 After that you only need to stir and whack it in the microwave for 90 seconds. Easy peasy. Apple and Cinnamon was my favourite flavour. 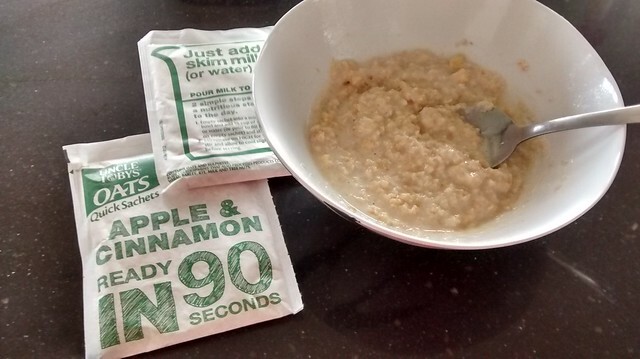 But then, cinnamon is great, right? 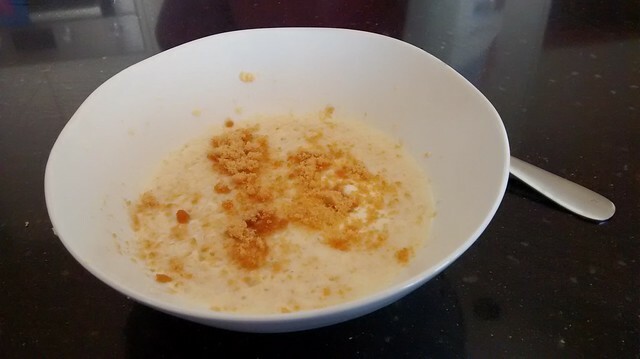 The apple and honey was the boring one… it needed way more apple to be able to notice it under the honey. If I’d had apples on hand, I probbly would have put half an apples worth of slices on it. The raspberry highlights in the last one was a pleasant surprise. So, how do you cook your oats? Does something easy like this appeal to you?